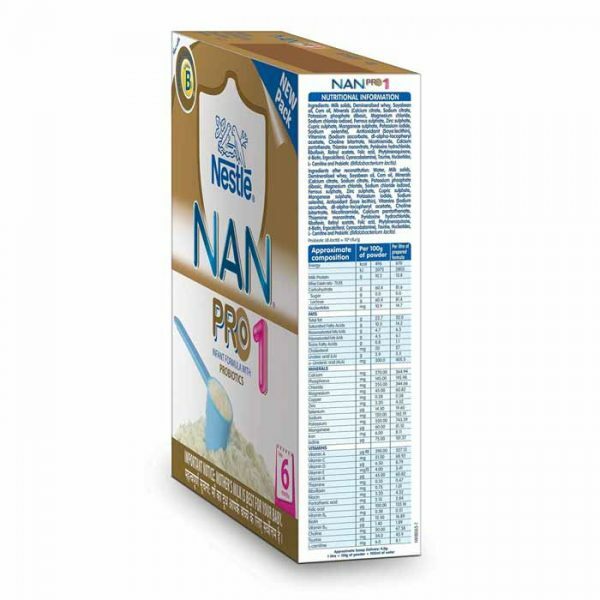 Nestle Nan Pro 1 Starter Infant Formula contains Bifidobacterium lactis. B. lactis is a culture which is probiotic in nature. It supports in increasing the no. of Bifidobacteria within gut flora of infants. The addition of all the nutrients and probiotics makes it very rich and heavy. 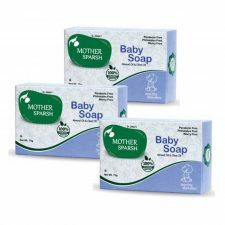 Please note that mother’s milk/breast milk is best for your baby. Sterilize all the utensils which will be in use such as spoon and feeding bowl. Boil clean drinking water for around 5 minutes and let it cool till lukewarm. Now pour exact amount of lukewarm water. Refer the feeding table. Also, add exact no. of leveled scoops for baby’s weight. Only use the scoop which is provided. Mix well to dissolve the powder. Feed the baby with bowl and spoon. Discard any leftover feed. Demineralised whey, Milk solids, Soybean oil, Minerals, Corn oil, Soya lecithin, Vitamins, L-carnitine, Taurine, Nucleotides, and culture of Bifidobacterium lactis. Nestle is world’s leading Nutrition, Wellness and Health company. NAN PRO 1 is an infant formula made by spray drying process along with addition of probiotic culture. The addition of all the nutrients and probiotics makes it very rich and heavy. Unboiled utensils, unboiled water and inaccurate dilution can make baby fall sick. Incorrect handling, storage, preparation or feeding may lead to potentially adverse health effects on your baby. The good thing is that the baby takes time for digesting Nestle Nan Pro 1 Starter Infant Formula so the time between two feedings is more. It is very important to prepare one single feed at one time. Hygienic and careful preparation of infant food is also very important for their health. Immediately feed and then follow all the instructions. Don’t keep any unfinished feed. Also discard any leftovers. Furthermore, when you feed your baby always make sure that you are holding him. Leaving them unattended can lead to choking. 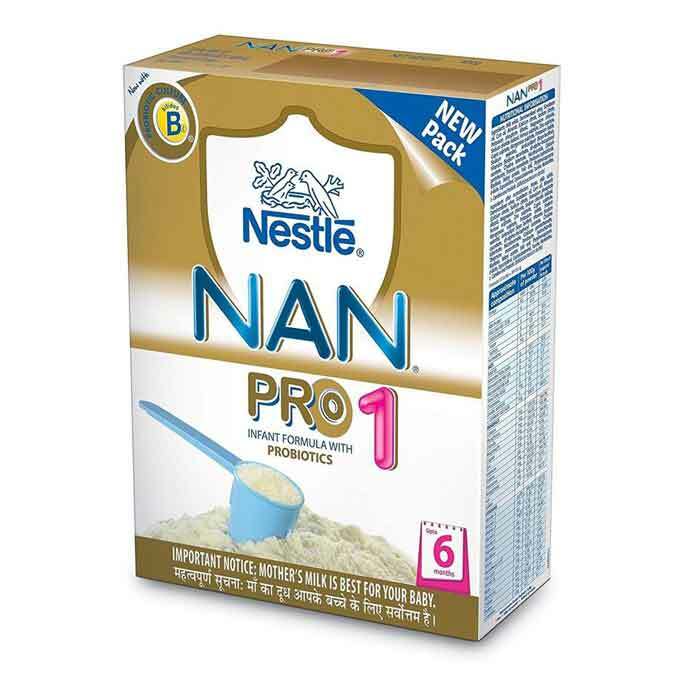 Nestle Nan Pro 1 Starter Infant Formula should be used only by consulting your doctor. Because mothers milk is very important and infant/ baby milk cannot be the single source of infant’s nourishment. 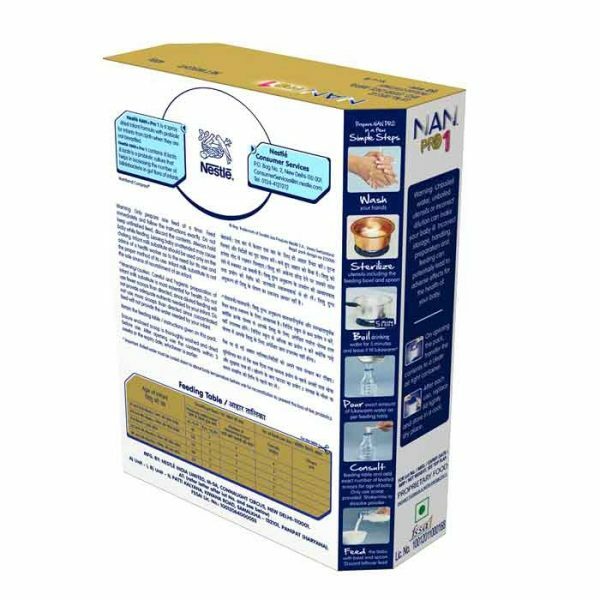 Don’t use extra scoops than directed, since a concentrated feed cannot provide water required by your baby. Using fewer scoops will not give enough nutrition to your baby. 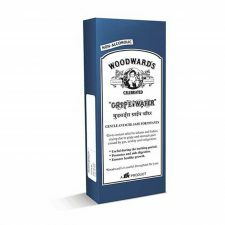 Make sure that enclosed scoop is properly washed and also dried post use. 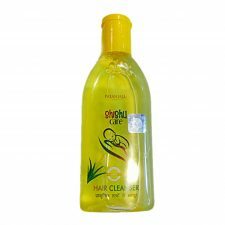 After opening the box, use the contents within 3 weeks or the expiry date, whichever comes earlier.